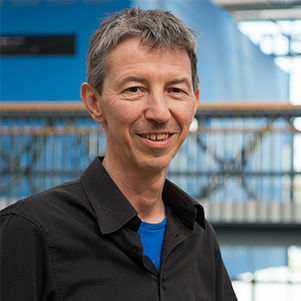 Dirk Snelders is head of the section Management and Organisation (M&O); this is a group of educators/researchers with an interest in (cross-)organisational practices for the design of products and services. This includes topics of design creativity, design management, design entrepreneurship and collaborative innovation. Dirk has a background in psychology and marketing, and it is from these fields that he has developed his research interest on the role of design in business. Since 2011, his research is part of the CReative Industry Scientific program (CRISP); a large Dutch research initiative that aims towards a better comprehension and mastery of the design of product-service systems. In a sub-program focusing on work-related stress (CRISP-GRIP), the question is raised whether and how social interactions between people in product-service systems can be ‘designed’. The results from this work have been exhibited at Dutch Design Week and Helsinki Design Week (2012), and they are currently being published at conferences (IASDR 2013, ServDes 2014). Dirk’s earlier work has focused on the decision-making of tourists, aesthetics and product styling, novelty and surprise in design, and service design. This work has appeared in journals such as Annals of Tourism Research, The British Journal of Psychology, Design Issues, Design Studies, International Journal of Design, and the Journal of Product Innovation Management.